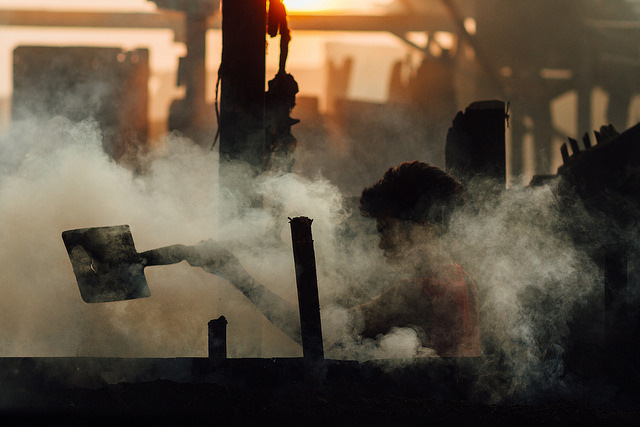 In its official communique, the group expressed fear that continued over-reliance on carbon-intensive energy systems is building accumulated financial risks globally. It highlighted an Ernst and Young report which indicated that €86 billion in carbon-intensive utility assets were already written off in Europebetween 2010 to 2014. Similar write-offs within V20 economies would severely impair economic stability and growth of their economies, it said. The International Panel on Climate Change (IPCC) has recently prescribed USD$2.4 trillion to fund societal changes that could help keep warming within 1.5C, a level consistent with the stability and continued economic progress among climate vulnerable economies. The IPCC’s Special Report on 1.5C Degrees also confirmed limiting global warming to 1.5C would provide for higher global aggregated economic growth due to reduced risks. According to the scientific body, keeping global temperatures within the 1.5C level remains a possibility but would require drastic emission reductions of about 45%, and a 60-80% lower reliance on coal power by 2030 (based on 2010 levels). 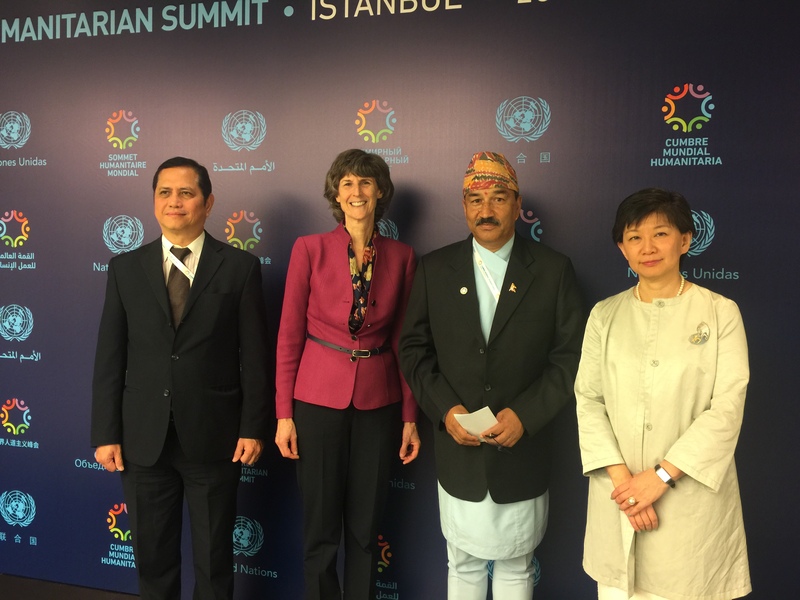 While in Bali, the World Bank, G20 and V20 announced a joint USD$145 million initiative tohelp vulnerable countries access risk financing and insurance solutions for climate and disaster shocks. This supports the Global InsuResilience Partnership, which was born out of close V20-G20 cooperation in 2017. 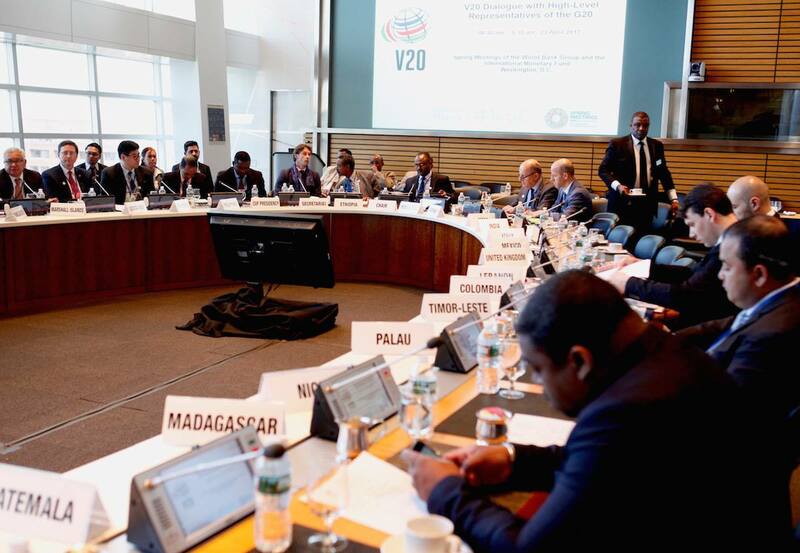 The V20 is seeking further cooperation with the G20 in accelerating fossil fuel subsidy reform as well as support for V20 carbon pricing efforts. The V20 said it further signaled its concern over delivery of USD$100 billion pledged by industrialized countries for the Paris Agreement, in light of the US withdrawal from the global treaty. The V20 is a grouping of Ministers of Finance within the Climate Vulnerable Forum and is a dedicated cooperation initiative of economies systemically vulnerable to climate change. It is currently chaired by the Republic of Marshall Islands. 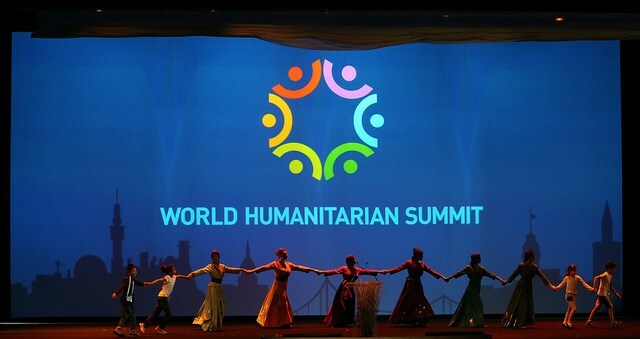 V20 members include Afghanistan, Bangladesh, Barbados, Bhutan, Burkina Faso, Cambodia, Colombia, Comoros, Costa Rica, Democratic Republic of the Congo, Dominican Republic, Ethiopia, Fiji, The Gambia, Ghana, Grenada, Guatemala, Haïti, Honduras, Kenya, Kiribati, Lebanon, Madagascar, Malawi, Maldives, Marshall Islands, Mongolia, Morocco, Nepal, Niger, Palau, Palestine, Papua New Guinea, Philippines, Rwanda, Saint Lucia, Samoa, Senegal, South Sudan, Sri Lanka, Sudan, Tanzania, Timor-Leste, Tunisia, Tuvalu, Vanuatu, Viet Nam and Yemen. Addis Ababa, Ethiopia–Tuesday 28 August 2018: The Federal Democratic Republic of Ethiopia concluded its chairmanship of the Climate Vulnerable Forum (CVF) and the Vulnerable Twenty (V20) Group of the member states of the CVF with a handover ceremony held at Addis Ababa today transferring presidency responsibilities to the Republic of the Marshall Islands. The Marshall Islands is convening an entirely online Virtual Summit of the Climate Vulnerable Forum on 22 November 2018 and it was indicated that the Summit would be front and center of the Forum’s work for the remainder of 2018. The handover ceremony took place in conjunction with meetings of the V20 Focus Groups and a CVF-V20 Troika Meeting held at Addis Ababa from 27-28 August 2018, gathering senior CVF and V20 officials from different world regions. 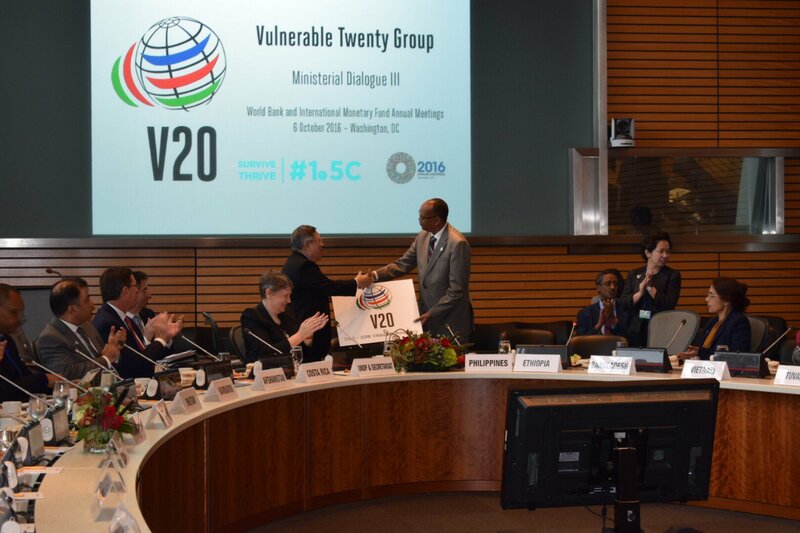 Washington, D.C., 23 April 2017 – Climate-vulnerable economies comprising the Vulnerable Twenty (V20) Group today expanded its membership, and announced it would pioneer innovation in climate finance to help secure continued economic development among its members while tackling the costly economic impacts of climate change. The group said it is seeking ambitious climate action from G20 economies. V20 officially confirmed the membership of Colombia, Lebanon, The Gambia, Palestine and Samoa, while also announcing the future chairmanship of the Marshall Islands from October 2018. The group is currently chaired by Ethiopia. “Today, the V20 achieved a number of important milestones with our strategic dialogue with the G20, as well as by initiating concrete initiatives to help V20 members finance climate action in their respective countries,” said H.E. Abraham Tekeste, Minister of Finance and Economic Cooperation of Ethiopia. The V20-G20 dialogue aims to deepen strategic partnership between the two groups to redesign the investment agenda of the world economy. Representatives realized they had much in common in terms of aims to establish financial instruments that boost climate-friendly investments and energy transition. In addition, the V20 urged G20 countries to deliver their long-term low-emissions development strategies before 2020, and to include ambitious climate action as part of the G20 outcomes in July. The concrete steps pursued by climate-vulnerable countries include low-emission development, shift in financial flows towards achieving 100% renewable energy, and stronger risk financing and insurance for vulnerable economies. In its recent Communique, the V20 warned the G20 that pulling resources from the Paris Agreement will create economic instability. 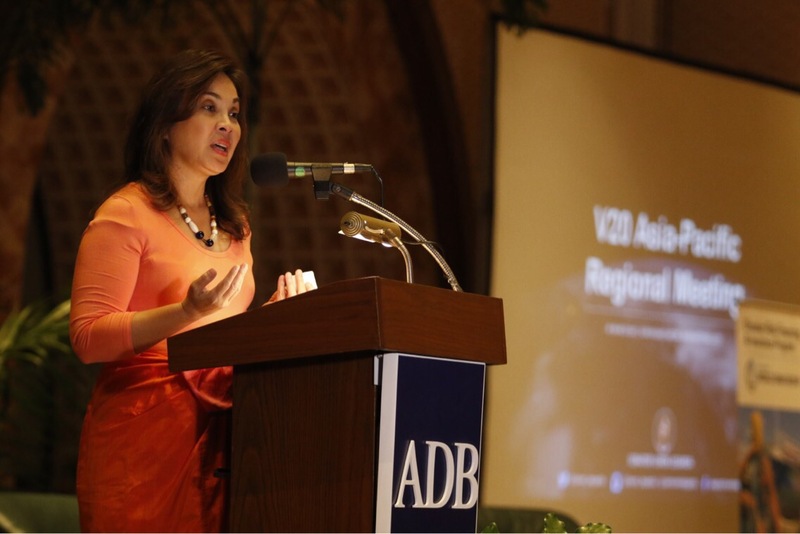 The V20 said investing in climate action is necessary and critical for inclusive development and economic growth. “For vulnerable countries, the 1.5C limit is a matter of survival. It requires immediate and swift action by the global community, and above all, the major industrial powers,” said H.E. Macaya Hayes, Ambassador of Costa Rica to the USA. “We set our sights towards 2018, the trigger year when all countries, especially the major industrial powers, need to commit to enhance their climate ambition before the end of the decade. Developed economies have pledged $100 billion per year to finance steps enshrined in the Paris Agreement to limit global warming to no more than, if not well below, 1.5 degrees. The V20 welcomed the Roadmap presented by developed countries, outlining a pathway towards achieving their finance mobilization target.